Adopted in the year 2000, the eight Millennium Development Goals (MDGs) constitute a consensus among the member states of the UN around a development framework for addressing extreme poverty within a fifteen year timeframe from 2000 to 2015. For those who may not know, Namibia played a crucial role in the coming into being of the MDGs. H.E. Dr. Sam Nujoma, co-presided over the Millennium Summit which met in September 2000 to discuss the role of the United Nations at the turn of the 21st century. Equally, the Speaker of the National Assembly, Hon. Theo Ben Gurirab, was President of the UN General Assembly in 2000 when it adopted the Millennium Declaration which inspired and gave birth to the MDGs. We are all indebted to Namibia in this regard. We are only five hundred days away from the MDG deadline. In the last few years; the world has been reflecting on the promise of the goals, the achievements and failures, and what should follow in the footsteps of the MDGs. Most importantly the reflection has centred on how the new Post 2015 Agenda should be evolved and what its focus should be. In my remarks tonight, I shall briefly recall how Africa and Namibia have fared in attaining the MDGs. I will then review the process and progress in the elaboration of the Post 2015 Agenda which culminated in the proposed Sustainable Goals of the New Agenda. In concluding, I shall discuss, the challenges and imperatives which, I think, Africa and Namibia will have to meet, to make the New Agenda Work for them. Overall, progress and achievements of the MDGs in Africa has been mixed, not just across the goals, but also across countries, and even within countries. The 2013 Africa MDG Report: “Assessing progress in Africa towards the MDGs” noted that Africa is on track to achieving four goals –namely– Achieving universal primary education; Promoting gender equality and empowering women; Combating HIV/AIDS, TB, malaria and other diseases; and Global partnership for development. On the other hand, the report noted that Africa is unlikely to meet four other goals -that is- Eradicating extreme poverty and hunger; Reducing child mortality; improving maternal health; and Ensuring environmental sustainability. The results in Namibia have also been mixed but- overall quite encouraging. The country is on course to meet most of the MDGs targets-even if partially. Specifically, Namibia has achieved or is on target to achieve the Poverty reduction, Universal primary education; Gender equality and empowering women; HIV/AIDS, TB, malaria and other diseases; Environmental sustainability as well as the Global partnership for development targets. It is not likely to achieve the Child mortality and maternal health targets. There are variations relating to the depth of the achievements of the targets across all the goals-especially as they relate to issues of access, quality and sustainability. Poverty reduction has not kept pace with economic growth in Africa. Growing income inequality is undermining efforts to reduce poverty. Even though African countries have achieved universal primary en­rolment the quality of education and sustainability remain a challenge. Africa is making steady progress toward gender equality. Despite progress, Africa still has the greatest burden of child and maternal deaths. Africa has significantly reduced the pace of the spread of HIV/AIDS, tuberculosis and malaria. And lastly, that food insecurity remains a recurring problem. The report concludes that the countries that have sustained equitable growth, with pro-poor policies and political stability have done better on most of the goals. This is the African and Namibia MDG picture as we approach the end date of 2015. How about the process for elaborating the new agenda?As we may recall, world leaders met during the High Level Plenary of the UN General Assembly in 2010 to review progress on MDGs. The Assembly reaffirmed the validity of MDGs and called for acceleration of their achievement before the deadline and for reflection on the next generation of MDGs beyond 2015. It directed the UN Secretary General to lead both processes. In this respect, the Secretary General initiated a two-pronged process-one of developing an MDG Acceleration Framework to inject new vigour into the implementation and-the other- of initiating reflection on the New Agenda. Under the Acceleration Framework, the UN worked with countries to identify bottlenecks and map out those goals- which- with political commitment, focus and resource allocation-could be achieved by the 2015 deadline. In the report the Task Team underlined that the challenges of human development are interdependent, and therefore require a holistic approach. It recommended an inclusive consultation process- to evolve a new agenda-with shared responsibilities for all countries- complemented by a fundamental reform of the system of global governance. Following the Rio+20 Conference, that had decided to launch a process, building on MDGs, to develop a set of new Sustainable Development Goals for the post 2015 agenda, the Secretary General appointed, in July 2012, a High Level Panel to advise him on the new agenda. The Panel was co-chaired by the Presidents of Indonesia, and Liberia and the Prime Minister of the United Kingdom. In May 2013, the High Level Panel presented its report entitled “A New Global Partnership: Eradicate Poverty and Transform Economies through Sustainable Development,” in which it underlined that MDGs had made remarkable difference to humanity and transformed lives. It therefore advised that the Post 2015 agenda should build on MDGs, and be driven by what it called Five Transformative Shifts-namely: – Focus on putting sustainable development at the core of the new agenda, Transforming economies for jobs and inclusive growth, and ending extreme poverty, Building effective, open and accountable institutions, Promoting Peace and good governance as well as Forging a new global partnership for implementing it. Apart from these Panels, a series of national and regional consultations were held between 2012 and April this year- focussing on eleven themes-namely inequalities, health, education, growth and employment, environmental sustainability, governance, conflict and fragility, population dynamics, hunger, food and nutrition security, energy, and water. A global survey called “MY World” was also undertaken. Namibia, like many African countries did not hold dedicated national consultations. They chose instead, to join hands with other African countries, within the framework of the African Union, to develop a common continental position. President Pohamba is a member of the AU High Level Committee of Ten that was charged with elaborating Africa’s Common Position on the Post 2015 Development Agenda. The Common African Position is founded on six pillars-namely:-Structural economic transformation and inclusive growth, Science, technology and innovation, A people-centred development, Environmental sustainability, natural resources, and disaster risk management, Peace and Security as well as Finance and Partnerships. The African Common Position is inspired by and based on the Africa’s Agenda 2063. First, that the new agenda should have a single framework and a set of goals – universal in nature and applicable to all countries- yet responsive to the needs and capacities of individual countries. Secondly -that the new agenda must build on take over from MDGs. The Agenda must be transformational- providing for clear transition to reducing inequality and eradicating poverty, and social exclusion. Thirdly; that governments should set bolder and ambitious targets and take deep political commitments to deliver on the goals-including building accountability into the heart of the new agenda. Fourth; that the new agenda must be integrated and holistic and founded on good governance, human rights, justice and security as well as ensuring transparency in the allocation and use of resources. Fifth, that the new agenda must retain focus on concrete, measurable goals but improve the way progress is measured through a data revolution to upgrade information collection methods and national data systems. Sixth,that the new agenda should go beyond aid and leverage domestic resources and South-South cooperation and strengthen mechanisms for equitable global trade. Lastly; that the new agenda should be driven by a robust global partnership framework -that is equitable and underpinned by a sustainable financing mechanism. Ensure healthy lives and promote well-being for all. Ensure inclusive and equitable quality education and promote life-long learning for all. Ensure availability and sustainable management of water and sanitation. Ensure access to affordable, reliable, sustainable, and modern energy. Combat climate change and its impacts. Protect, restore and promote sustainable use of terrestrial ecosystems, sustainably manage forests, combat desertification, and halt and reverse land degradation and biodiversity loss. Promote peaceful and inclusive societies, provide access to justice for all and build effective, accountable and inclusive institutions at all levels. 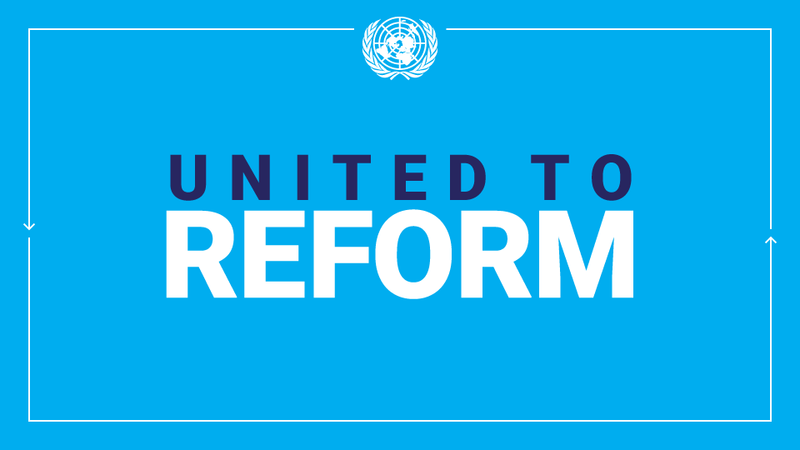 Strengthen the means of implementation and revitalize the global partnership for sustainable development. This includes enablers and cross-cutting issues of Finance, Technology, Capacity building and Trade as well as Systemic issues of Policy and Institutional coherence, Partnerships, Data, monitoring and accountability for results. Like MDGs these new Goals will also have a fifteen year time line-from 2015 to 2030. Even with agreement within the Open Working Group, there are still issues that remain unresolved and which will continue to be negotiated in the course of next year. These revolve around the reference to rule of law, to Sexual and Reproductive Health and Rights, to Climate Change and to the proposal for Fossil fuel subsidies. As you can see-the list of the proposed new goals is long. As they say, To Plan is to Choose. The challenge here; is for governments to choose well and to focus-even as the world citizens demand boldness and ambition. In this respect, along with still ongoing negotiations among member states, the UN Secretary General is undertaking parallel consultations on a possible number of fewer goals. He will report on the outcome of the consultations in December this year. Whatever compromise emerges, the challenge for Africa is to sustain active engagement and ensure that these negotiations culminate in a lean agenda- one focussing on the most catalytic areas to its development. Given that Africa has the most developmental need; at the minimum it should aim to have –most -if not all-the six pillars of its Common Position retained as Core Goals of the new agenda. So much for the background and process; going forward it is opportune to reflect on the prospects of the new agenda and what it will take-for it to work for Africa and Namibia. The value of global agendas lies in setting priorities, and bringing partnerships, resources, and joint action around them.Beyond that; it is what governments do with the agendas-individually and collectively. As stated in the report of the Open Working Group, the proposed goals of the new agenda are aspirational-with each country setting its own national targets guided by the global level of ambition. For Namibia and Africa, it means the aspiration envisaged will have to find context in development action-both at national and continental levels. There is now consensus on the Post 2015 Agenda and its contours are already visible. Come September next year, the world will be poised to usher in the New Agenda. Like MDGs, the larger challenge will lie in its implementation. This is where Africa must now redirect its attention-that is reflecting on the kind of policy decisions, and investments that will be required for the New Agenda- to deliver results. And it is in this respect that I wish to echo some of the key challenges which; I think should be met; for the new agenda to work for Africa and for Namibia. First, Namibia and Africa must learn from the MDGs and internalize the lessons from its implementation.Evaluations of MDGs have pointed out several shortcomings and lessons. They note for example, that there was inadequate analysis and justification behind some of the chosen goals; that as the first set of global development goals- MDGs lacked precedent and therefore, their implementation suffered from experimentation. It is further noted that MDGs were adopted by governments without consultation with the people and that in the main-the goals remained marginal and not integrated into national development plans. The evaluations also note that MDGs were driven more by donor funding and not by national resources. At times, slow or conditional flow of aid constrained progress. Indeed it is observed that where the most MDG progress was made, it was in countries, including here in Namibia, where national resources played the key part. Some of these shortcomings have been addressed through the inclusive and consultative process for the new agenda. Provided countries learn from MDGs, they stand to do a better job with the new agenda. Secondly, Africa and Namibia must sharpen focus on tackling inequality and exclusion-with poverty eradication as a central objective. Inequality; in its various forms; is expanding and deepening everywhere in Africa and Namibia is no exception. Income inequality undermines long-term growth; it foments political instability, and compromises social cohesion. Unemployment- among the youth is a time bomb and unless it is addressed, it stands to undermine the new agenda. Equally, addressing gender inequality, investing in women’s empowerment, providing accessible and quality education for girls will impact positively on the new agenda. According to the World Bank’s 2012 report entitled, “World Development Report: Gender Equality and Development”. Empowering Women is smart economics. Gender equality can enhance economic productivity, improve development outcomes. Imagine the possibilities that could open up if the full energies, industry and creativity of Namibian and African women-who are half of the population-, were harnessed for development! Thirdly, the spirit of consultations that characterized the development of the new agenda must be embedded into its implementation. Consultations on the new agenda have been the most inclusive and participatory. This inclusiveness has built greater citizen understanding, buy-in and national ownership of the new agenda. This shared ownership needs to be consolidated and sustained so that citizens are continually involved in its implementation. At the continental level; Africa must sustain the spirit of unity, and continental solidarity that underpinned effort in evolving a Common Position on the new agenda. Africa acted as one in presenting a common position. It is only logical that Africa should sustain that sense of unity and adopt a continental approach in the implementation of the agenda. Coordinating policy, and action, will be imperative. Fourth, Africa must embrace and take advantage of the universality of the new agenda.As stated in the report of the Open Working Group, the proposed Sustainable Goals are global in nature and universally applicable. The universality of the new agenda drives from the fundamentally new thinking on which it is premised. Unlike the MDGs, the new agenda is not being set by the developed world to help the poor countries. The proposed new goals are applicable to all countries-rich and poor. This is due to the recognition that the problems to be addressed affect all countries. For example, we see poor people in rich and poor countries. We see unemployment, gender inequality, food insecurity, social exclusion, in developed and developing countries. Climate change, insecurity and conflicts affect everyone and every country. The universality of the new goals provides an opportunity for engagement and a new kind of partnership to tackle the problems that the world faces in common. Africa’s challenge will be to take advantage of the universality of the new agenda to forge effective partnership across the goals and engage effectively in determining the course of its implementation. Fifth, Africa will have to achieve and sustain high economic growth rates and take advantage of the new opportunities in globalization for implementing the new agenda. Even though growth has not generated sufficient jobs-provided it is sustained and made inclusive, and the resources are properly managed- Africa can finance and implement the new agenda-with better results. It was estimated that countries needed to sustain growth rates of at least 7% to achieve MDGs. Africa will need to sustain even higher growth rates for the new agenda-And this is possible and it is already happening in several countries. However, beyond funding the new agenda, Africa’s overriding growth objective should be to wean itself from Development Assistance and dependence. But growth without transformation is not sustainable. That is why together with growth, African countries must seek to transform their economies to achieve the objectives of the new agenda. In its 2014 Africa Transformation Report, the African Centre for Economic Transformation underscores that African economies need more than just growth- if they are to transform. They need to grow with “DEPTH”-that is-they need to diversify, make exports competitive, increase agricultural productivity, invest in technology and innovate and above all to improve its human capital. Africa’s Agenda 2063 also recognizes these as Drivers of Change over the next fifty years. Likewise, Africa should inspire itself from the good practices in Africa and elsewhere; in order to better manage its vast natural resources. As Africa is emerging as a new frontier for massive natural resources, it requires political prudence and skills for managing those resources for the benefit of its citizens. Africa should ensure that these resources become a blessing and not a curse-as we have unfortunately seen in the past. Only then can Africa effectively leverage internal resources to implement the new agenda-with the political independence and autonomy of action- that financial capacity engenders! The sixth imperative relates to taking advantage of a world coming together, and reinforcing mechanisms for South- South cooperation, reforming ODA and promoting public-private partnerships. It relates to the globalized world we live in- and the shared humanity it has engendered. It is a world that is coming together- even if in many ways -drifting apart. Technology has shrunk the space and pace for trade and commerce, as well as social and political interaction. The internet and social media have changed the world in fundamental ways. Poverty, conflict and suffering in one part of the planet readily become issues of global concern. We have also seen how the social media can spur compassion in the face of human suffering. We saw how the breakdown of the Somali state spawned sea piracy that undermined global trade and regional security. The ongoing conflicts in Libya, Central African Republic, Mali, Iraq, Syria, Ukraine and elsewhere have global ramifications. But beyond the opportunities of trade and investments presented by globalization, I see in this shared universal space, a human element- that is great opportunity- to forge closer cooperation and human solidarity to implement the new agenda. We see the emergence of new economic players who can reinforce international partnership and financing for the new agenda. The BRICS comprising Brazil, Russia, India, China and South Africa; and other countries in Africa, Middle East, Asia and Latin America are playing growing roles in direct foreign investments and trade. With political will, these new economic players can provide increased opportunities for trade and generation of incomes for Africa to fund the new agenda. In addition and where needed, these emerging countries could also supplement ODA flows and lessen the burden on the traditional donors-who are facing serious economic problems in their own countries. Africa needs to engage with these new players-to learn from them and strengthen partnerships and where possible leverage resources. For the time being and while Africa still requires aid, it will be in its own self interest to work with donors to reform the edifice of ODA- so that assistance can work better for the new agenda than it did with MDGs. Both the Paris Declaration on Aid Effectiveness and the Accra Agenda for Action laid the ground. But the challenges of their implementation remain. Donor coordination has not fully happened and duplication is still evident. Policies and procedures have not been adequately simplified; aid has not been freed from political conditionality. Lack of financial transparency and systemic corruption around ODA are rampant-notwithstanding the Paris Declaration! Needless to say, Africa will need a new kind of engagement for ODA to work effectively to deliver the new agenda. The growing role of the non-state development actors will require creative management. Gradually, we have seen the growing role of national and international NGOs, Foundations and the private sector in development. For example, Melinda and Bill Gates and, the Clinton Foundations are playing critical roles in health. The private sector too is increasingly funding human development as part of its corporate social responsibility but also because it makes good business sense. In future, the role and influence of these entities is bound to grow. These have the know-how, the technology and money to make a difference. Provided they are channelled into the right direction and partner better with African governments- instead of transplanting their role- they stand to add much value. The formal role of these entities in the new agenda is being debated. Once this is clarified and agreed upon; they will be a welcome addition to the development partnership. It is up to Africa to retain the initiative and lead in setting the agenda and determining the direction of this partnership. The seventh imperative for Africa is reinvigorating the pace of regional integration. While there is recognition that regional integration is a key driver of development in Africa, the process has suffered at the hands of- lack of political will and capacity, limiting interpretations of sovereignty, and bureaucratic inertia. Africa needs integration-not only because it is the dream and objective of the African Union, but because it also makes political and economic sense. As said a million times before, the fifty three African countries, acting individually, lack the critical mass to be meaningful players on the global scene. Africa needs to partner, to interact and to trade more. According to ADB, intra-African trade now stands at a paltry 12% compared to 67% for Asia-Pacific or 61% for EU. This is not rocket science. If European countries, many of which individually produce more wealth than the whole of Africa combined, still see their future rooted in deeper integration within the EU, how much more for Africa? Imagine for a moment what free movement of people, of goods, labour and services, harmonized policies and processes across Africa’s borders can do in facilitating trade and investments and in turn generating wealth and reducing poverty. Imagine how liberating it would be for an African-being able to travel, to trade and work across the continent- without having to navigate a myriad of immigration and tariff regimes! Deeper integration will allow Africa to consolidate shared political norms and programmes-which even at this low pace, have helped forge common approaches to good governance, to peace and security, to elections, human rights, management of the environment. Strengthened regional integration should also permit Africa to tackle organized transnational crime including in arms, narcotics and human trafficking-all of which stand to undermine the new agenda. The eight, imperative will be taking deeper political commitments to promote good governance, peace and security- to deliver the new agenda. As noted, the most progress in implementing the MDGs was made in countries where the process was underpinned by good governance, peace and security. The transformation required is not only economic. It is in governance as well-looking at how Africa governs itself and how democracy can be strengthened beyond elections to making political transformation happen. Giving Parliaments, civil society and media the space to freely exercise their oversight, advocacy and public accountability roles must continue to form part of that political transformation agenda. Efforts to resolve conflicts should be heightened, so that the larger part of Africa-which is emerging-is not pulled back. Commitment to good governance will mean greater political inclusion, strengthening of democracy including fighting against systemic corruption-which is now one of the most important obstacles to Africa’s development. Fighting systemic corruption will yield dividends of peace and liberate resources. Indeed, this would facilitate dealing with illicit financial flows from Africa; estimated by the High Level Panel on Illicit Financial Flows from Africa; to be about $50billion annually-far exceeding the ODA received. Yes capacity and technical challenges exist-including those of negotiating contracts with manipulative multinationals. But, the larger problem seems to be that of wilful connivance and serious failures in governance-which have sustained corruption and mismanagement. In like manner, investing more in managing Africa’s diversity will contribute significantly to making the new agenda work. Political rigidity and marginalization, ethnicity and religious intolerance are tearing at the seams of Africa’s political fabric. Some of these are standing in the way of the political transformation that is needed to make democracy work effectively in Africa. We see the painful effects of these challenges in several countries in Africa and unless they are handled effectively, they too stand to undermine the prospects of the new agenda. This calls for sustained political and religious dialogue, national reconciliation, peace building and inclusion. Experience teaches us that economic growth without inclusion is not sustainable. We have seen that high Human Development Index alone do not sustain social cohesion and national unity. The so-called Arab Spring is illustrative in this regard. Ultimately dealing with marginalization, ensuring responsible governance, within inclusive, equitable, and peaceful societies which observe the rule of law-provide the best guarantee. The last imperative will be prioritising state capacity strengthening and skills development. In order for Africa to do all that I have said, it will need people- with the right skills, and in sufficient numbers. It will also require institutions and systems that work. Therefore investing in education and skills, in building capacity of state institutions and systems to oversee the implementation must be part the agenda itself. And the circumstances are favourable. There is renewed recognition that- like good governance, capable institutions- especially- state institutions are critical to human development. Contrary to the thinking of even two decades ago, the centrality of a capable state in providing the appropriate conditions, the vision and oversight of national development; is no longer in question. Africa must seize the opportunity of the new agenda to address the skills and capacity gaps that exist-both through training but also through reversing the brain drain that has bled Africa of its experts and professionals. This can only be achieved if the underlying economic and political conditions in Africa; that have compelled the hundreds of thousands of skilled Africans to migrate to foreign lands; are addressed. Overall the prospects for the new agenda and conditions for engagement around it are good. As I said earlier, Africa has the most development need. It should therefore ensure that the goals of the Post 2015 agenda embody the core elements of the Common African Agenda. As I conclude, let me underline that, I am fully aware this is a human process and therefore-one fraught with risks. For example, the very same forces of technology that are integrating the world at a frenetic pace are also proving to be enablers of division and destruction. Social media has unfortunately also provided the cover, the space and anonymity for terrorists, and other forces of racism, and genocide to promote their agendas of hate. Likewise, failures in governance- including inability to fight systemic corruption, to manage political and social diversity or address inequality -could exacerbate social tension, breed conflicts and prevent Africa from leveraging its resources for implementing the new agenda. In the same vein, if Africa is unable to internalize the lessons from MDGs, or to strengthen its capacities and the mechanisms to fight extremism and terrorism or to build capable states fit for deeper integration, Africa shall miss yet another opportunity to use a global development framework, to lift its people out of poverty, hunger and disease. Our challenge is to be vigilant and not to let this happen. Africa has the capacity and hopefully the will to do so. Academic institutions like the University of Namibia have a role to play, through dialogues such as this one, in maintaining that vigilance. Copyright Mr Musinga Bandora, all rights reserved. This entry was posted in Latest News and tagged MDGs, Namibia, POST 2015 on August 20, 2014 by Mouton. There are many fires raging around the world today – political turmoil, bloodshed, public health emergencies and human rights abuses. But there also burns a flame of hope – encouraging progress in the global drive to improve the lives of the world’s poorest through the Millennium Development Goals. Adopted by world leaders in the year 2000,the MDGs are an ambitious 15 – year roadmap to fight poverty, hunger and disease, protect the environment and expand education, basic health and women’s empowerment. The ideas and inspiration of young people will be especially critical in this effort and their role must grow even more. That is why I will mark the 500 – day MDG moment at United Nations Headquarters with education advocate Malala Yousafazi and 500 young people. The challenges are daunting. Yet we have many more tools at our disposal than at the turn of the millennium — from the expanding reach of technology to the growing understanding of what works and what does not. This entry was posted in Secretary General's Message 2014 and tagged 500 days, MDGs on August 18, 2014 by Mouton. UNIC Windhoek presents the United Nations for you (UN4U) programme annually to hundreds of youth. The programme is aimed at primary and high school youth and teaches the guiding principles of the United Nations as an organization and how the organizations’ work benefits the greater good. This entry was posted in Outreach Activities and tagged About the UN, MDGs, UN in Namibia, UN4U, UNIC UN4U on July 10, 2014 by Mouton. On the first day of the first-ever visit by an Administrator of the United Nations Development Programme (UNDP) to Namibia, Helen Clark assured national authorities of her organization’s strong support to the country, at a time when it’s facing the most debilitating drought in its history. At a meeting with the Speaker of the National Assembly, the Honourable Theo Ben-Gurirab, Helen Clark discussed the need to emphasize local value in job creation and natural resources allocation, to utilize extractive resources for a more diversified economy geared towards human development and the attainment of demographic dividends. During a cluster ministerial working session, the Right Honourable Prime Minister Dr Hage Geingob emphasized the President’s position on the classification of Namibia as an “upper-middle income” country, stating that the justification on economic merit does not address the deep rooted income disparities among the population. The cluster meeting was held to discuss Namibia’s progress on the Millennium Development Goals (MDGs), STGs and the Post 2015 Development Agenda. “Namibia’s voice in the Post 2015 Global Dialogue needs to be heard, and the country needs to be supported in fulfilling its objectives as outlined in its National Development Plan 4,” Clark said. The UNDP Administrator applauded the Government of the Republic of Namibia for fostering a peaceful environment and focusing on areas where it can sustain economic growth and wealth distribution, such as the fisheries industry. The Cluster Ministerial work meeting was held with line Ministers at the old statehouse. Mrs Clark will meet with the officials of the Ministry of Environment and Tourism on Thursday and travel to the Erongo Region for a meeting with the Benguela Current Commission (BCC) in Swakopmund. The Commission serves as a vehicle for SADC countries Angola, Namibia and South Africa to jointly and sustainably manage the Benguela Current Large Marine Ecosystem (BCLME). This initiative is supported by UNDP to promote trans-border and South-South collaboration in the conservation and management of natural resources, through ocean governance policy, and the environmental aspects of marine mining. The United Nations Development Chief will also tour the Hangana Fish Processing Plant in Walvis Bay, and the country’s most important port; meet with civil society and women’s groups to discuss inclusion, gender-based violence and women’s empowerment, and visit the Havana Informal Settlement upon her return to Windhoek, to learn first-hand the challenges of addressing inequality in an upper-middle income country such as Namibia. This entry was posted in Latest News and tagged drought, Helen Clark Namibia, MDGs, Namibia, Official visit, Post 2015 Development, poverty, UNDP Administrator Namiba, upper middle income status classification on December 5, 2013 by Mouton.